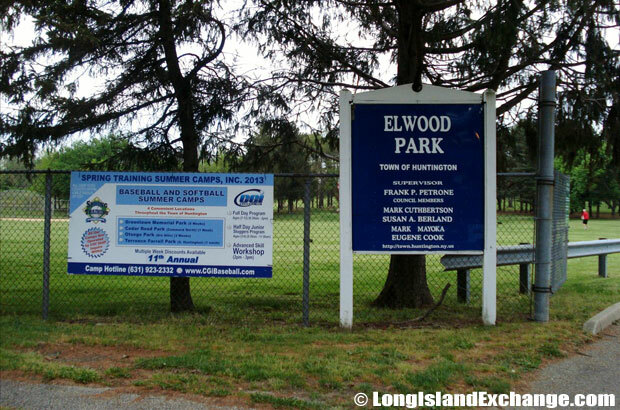 Elwood is a census designated place (CDP) located in Suffolk County, on the North Shore of Long Island, New York. The area is 4.8 sq miles, all of which is land and is within the community of East Northport under the Township of Huntington. As of the 2010 census, there were 11,177 people, 3,527 households, and 3,115 families residing in the area. The median income for a household in the CDP was $96,113 and the median income for a family was $100,927. Males had a median income of $75,803 and $49,436 for females. The latitude of Elwood is 40.8453 N. The longitude is 73.3356 W. It is in the Eastern Standard time zone. Elevation is 135 feet. 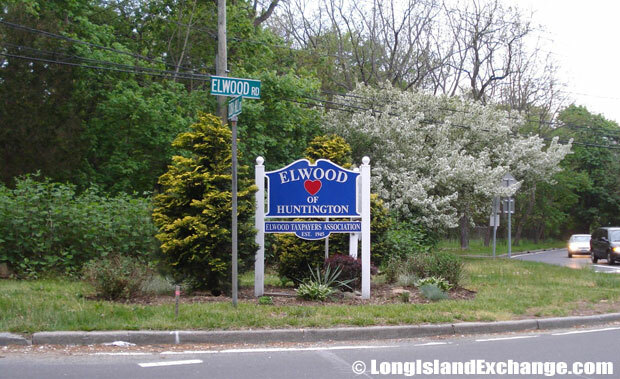 A sign on Elwood Road welcomes visitors and residents to the hamlet and census-designated place of Elwood New York. 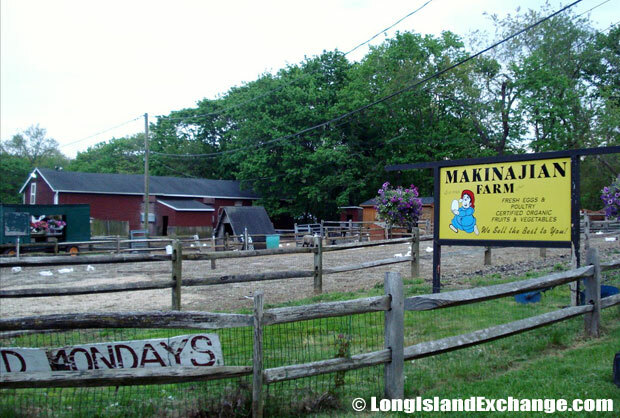 Makinajian Poultry Farm, family owned and operated since 1948, is located on Cuba Hill Road in Huntington. As of the 2010 census, most people who live in the area are classified as non-Hispanic whites, though somewhere around 6 percent of residents are African American. Another 8 percent or so are Asian, along with less than 1 percent of the population made up of Native Americans and Pacific Islanders. Depending on which study is used, sociologists classify between 5 and 8 percent of the population as Hispanic. 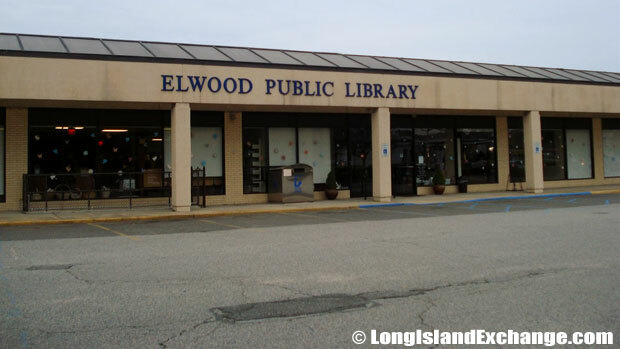 Elwood Public Library, 1929 Jericho Turnpike, East Northport. A memorial dedicated to the men and women of Elwood who served in the Armed Forces of the United States of America, God Bless Them. 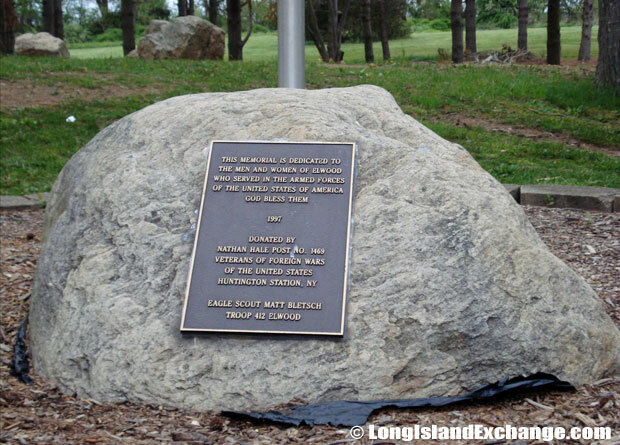 The memorial was donated by the Nathan Hale Post number 1469, Veterans of Foreign Wars of the United States, Huntington Station, NY. Eagle Scout Matt Bletsch Troop 412 Elwood. The population is well spread out when it comes to different age groups living in Elwood. Around 13 percent of people are over the age of 65. About a quarter is somewhere between 45 and 64, along with another 30 percent made up of people ages 25 to 44. While only around 6 percent is between 18 and 24, over a quarter of area residents are under the age of 18. That’s quite remarkable and has a lot to say about the area welcoming those just starting families. Elwood has its own school district with students not having to travel far to school. Most area residents educate their children locally at Elwood Middle School or sending students to nearby John Glenn High School in East Northport. The school’s athletic program is taken quite seriously, and local events draw fairly well. Student athletes at John Glenn High School participate in the Suffolk County League B IV as the Elwood Knights. Elwood senior class students generally receive SAT scores that rank above both the state and national averages. 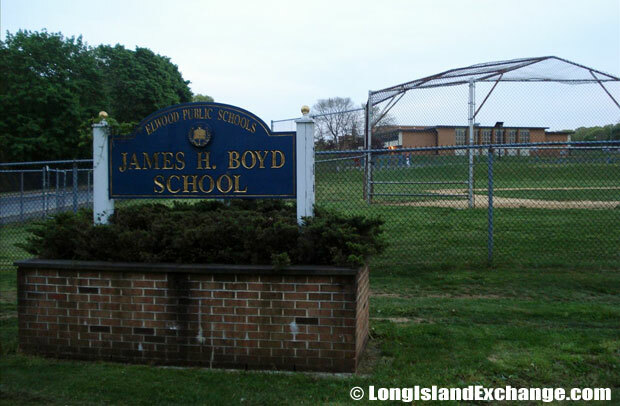 Serving children in grades 3, 4, and 5, the James H. Boyd Intermediate School is part of the Elwood Union Free School District. Several notable individuals have come from the Elwood era. Playwright Jack Canfora, flutist Jeanne Cinnante and WWE personality Ashley Massaro are among the most notable representatives of the arts from John Glenn High School. David Spergel, a theoretical astrophysicist and MacArthur fellow, seems to have taken the school’s namesake rather seriously. He chaired the Astrophysics Subcommittee of the NASA Advisory Council. Elwood Cinema, a small, neighborhood movie theater is located at the corner of Elwood Road and Jericho Turnpike.